If there are wet-looking marks and the tile edges appear to be discoloured around the grout lines, you probably have what is commonly called ‘picture-framing’. 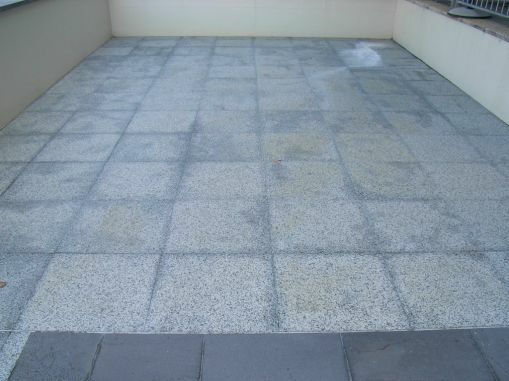 As water penetrates into the edge of the tile from the grouted edges, it leaves a ‘frame’ of discolouration on the tile. Can ‘picture framing’ be removed? 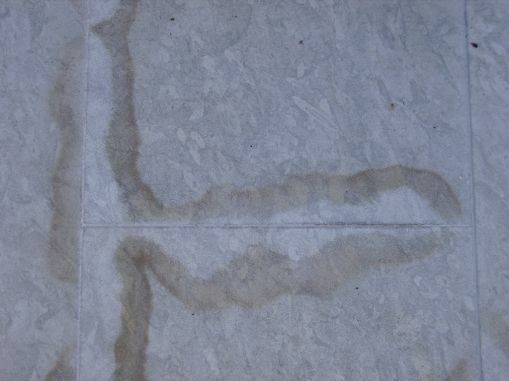 As these marks are caused by water penetration, the only way to remove them is to allow the stone or tile to dry out completely. Airconditioning, a dehumidifier, or underfloor heating can all help this process. Alternatively, a Deep Dirt Extraction treatment will remove all wetness from within the tile and grout. If the stone or tile dries and the mark is still visible, unfortunately the water-staining cannot be removed. At best it could be disguised using a Surface Enhancement treatment to make the colour more even. Note: this problem can be minimised (if not prevented) by pre-sealing porous tiles before laying, together with the use of a water-proof grout system. If you have picture framing, you can book a free Slique Consultation – we’ll come and confirm your problem, give you an indication of whether it can be restored or disguised, and give you a quote for our Technicians to professionally restore the surface.